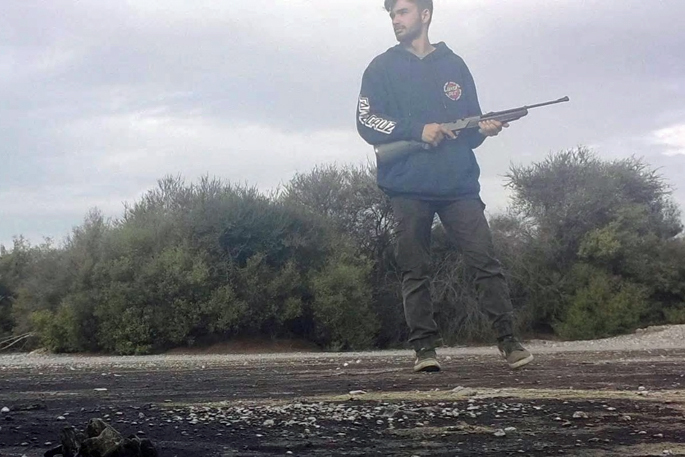 One of the armed man caught on camera at the site of the endangered birds. Image: Stuff.co.nz. Police have revealed no arrests have been made but they are following up "strong lines of inquiry" about the two men wanted in connection with the deaths of six black billed gulls - the world's most endangered gull. The Department of Conservation (DOC) released photos on Friday of two men at the Sulphur Point colony in Rotorua, which had been taken by chance by a camera placed to monitor the colony. The photos, one of which clearly shows one of the men's faces, also included images of them pointing air rifles at the birds, one of which had been found dead with a BB pellet lodged in its chest. DOC ranger Kevin Buttell ​says it was pure chance the men had been caught on film aiming air rifles at the birds, and condemned the senseless killing. "I was quite shocked, disappointed, irritated they feel they have the right to take protected species," he says. The six dead gulls were found during a routine check on the colony in November last year, where Kevin had earlier set up the camera to monitor the colony. He says there were around 60,000 of the gulls in New Zealand, "not a great deal". He says the killing was a particular blow coming in the wake of six breeding seasons that have failed to see new chicks hatch. Kevin says the birds were shy and easily affected by human activity. "It's a big blow. Potentially they were six breeding females. Six more broods of up to three eggs, that's 24 chicks." The killings were also condemned by DOC senior ranger biodiversity Mariana Te Rangi. 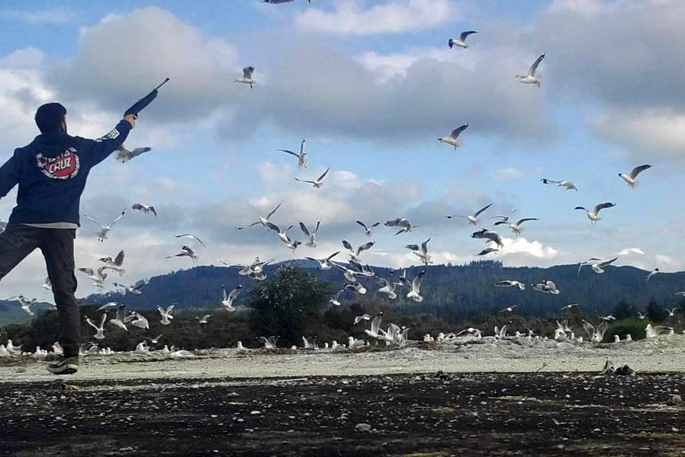 "These special birds are a taonga to Rotorua and are threatened with extinction," she says. Under the Wildlife Act 1953, imprisonment or up to two years or fines of up to $100,000 can be handed down for hunting or killing protected birds. Anyone with any information can contact DOC confidentially on 0800 DOC HOT (0800 362 468) or call Rotorua Police on 07 349 9554.